Stunning! 4554 Finished SQFT!! 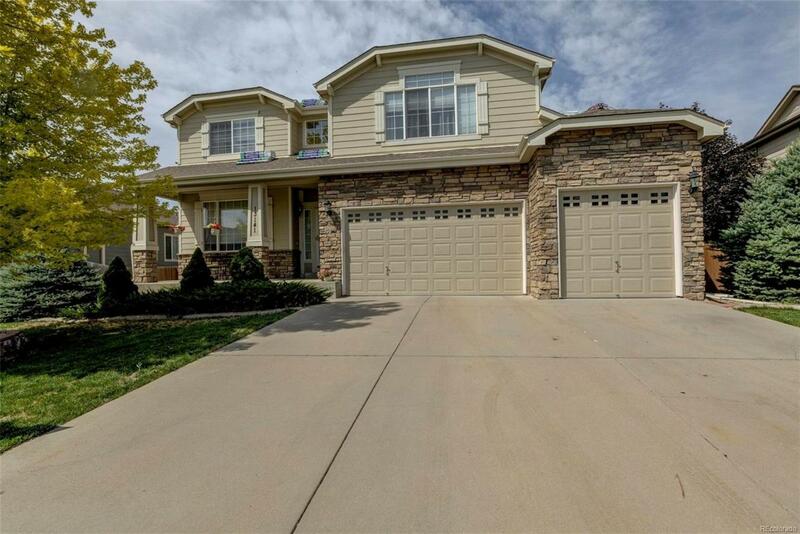 4 bdrms, 5 baths, main floor study, fin'd bsmt & 3 car garage! This light, bright & very clean home is located on a quiet St steps away from parks, bike/walking trails & Frisbee golf! The kitchen is complete w/lots of cabinet/counter space, pendent lighting, HW floors, walk-in pantry, double ovens & large eating space! The spacious family room has large widows, 2 sided gas fireplace & ceiling fan w/light fixture. The French doors leading into the study w/a ceiling fan & shared fireplace! Formal Dining & Living Room & 1/2 bath complete the main floor. The upstairs has a HUGE master bdrm w/vaulted ceilings, Ceiling Fan w/light fixture, 5 piece master bath & a large walk-in closet. Very large secondary bdrms all have walk-in closets! True guest bedroom w/it's own full bathroom! Fin basement w/rec room, bathroom w/shower, & an exercise room that could easily be a 5th bedroom or home theater! Very private back yard w/partially covered patio & mature trees! Offered by Mb Home Delivery Llc.